Beginners Session | Birmingham Hardcourt Bike Polo, UK. 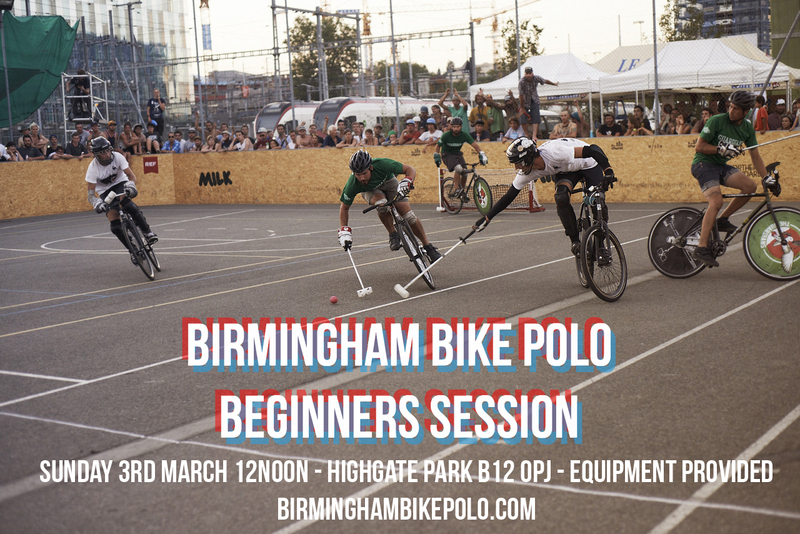 Birmingham Bike Polo will be hosting beginners session so if you’re keen to start or just curious please swing by and give it a go. We will be doing some basics drills and will be providing equipment so all you need is yourself and a bike!